Kitchen Tea, Bridal Shower and Hens photo invitations are a unique way to invite friends and family to celebrate the brides last days as a single woman. There are a range of invitations that have photo and no photo boxes on them. All photo card colours change be changed and any photo cards can be used for any occasion. Hassel free, quick and easy check out means that designing and receiving your photo cards for kitchen tea, bridal shower and hens is both quick and efficient leaving you time to organise the other details of the celebrations. 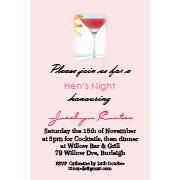 You will receive your Kitchen Tea, Bridal Shower and Hens Invitations photo cards proof in minimal time. The only hard task is choosing which of the creative and unique Kitchen Tea, Bridal Shower and Hens Invitations photo card you like.